Chris served in the Marine Corps for almost four years. He fought in the first Gulf War as an artillery cannoneer. His unit was the first to engage in ground combat, participating in behind the line raids using unconventional artillery. 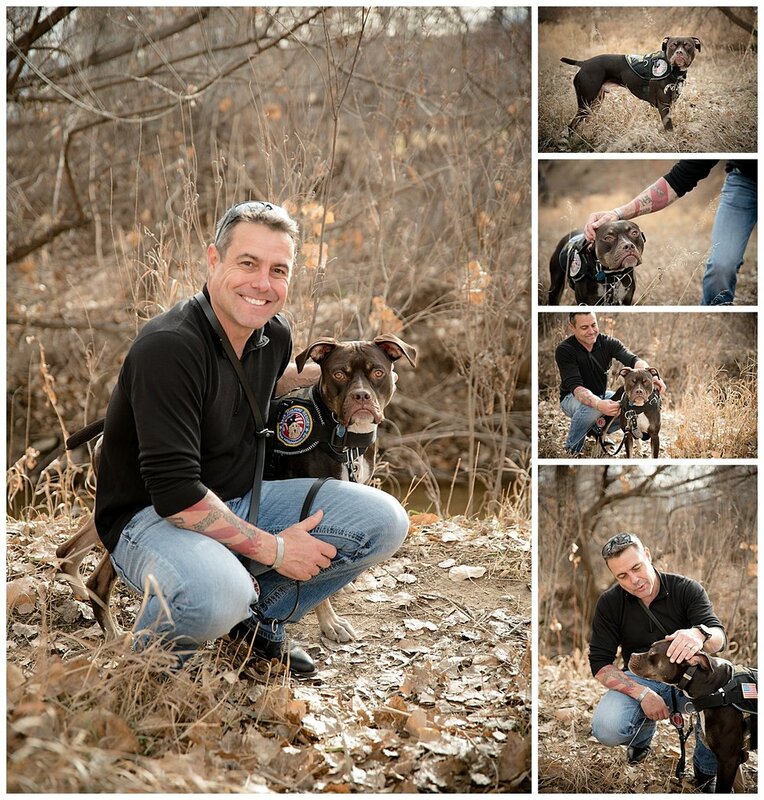 While Chris and Noodles had only been together a few weeks at the time of this photography session, it was amazing to watch how they were just ‘in sync’ together! Chris affectionately calls Noodles ‘Doodles’, along with other nicknames and joked that Noodles likes to look ‘stoic’. And he really did! Just see the picture of Noodles alone (on the right-hand side below). They are planning some hiking and camping adventures for the spring, which I’m sure Noodles will love!